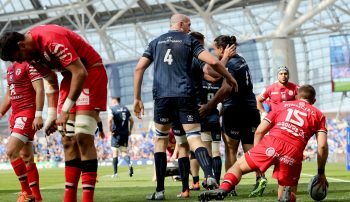 After a one-season absence from the European Cup, Toulouse have bounced back by qualifying for their 16th quarter-final in finishing second to fellow four-time winners Leinster Rugby in Heineken Champions Cup Pool 1. They now face an all-French tie with Racing 92 at Paris La Defense Arena on March 31, live on FR2, BT Sport and beIN SPORTS. Here are five of their main men. The 22-year-old has really come of age this season in European rugby with his pinpoint kicking and darting breaks from scrum-half, winning the Heineken Man of the Match award in the two games in which he scored tries – namely in the 42-27 home win over Wasps in Round 4, when the France No.9 touched down twice, and in the 20-17 success over Bath Rugby at Stade Ernest Wallon in Round 6. He also featured in France’s two Six Nations Championship wins this year and now has 14 caps. 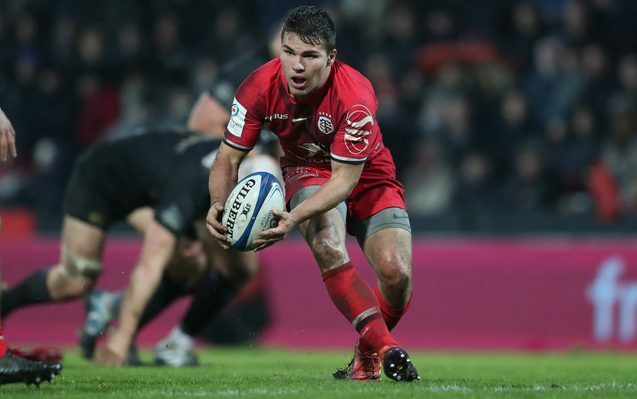 The son of France great Emile is only 19, but he is already in his second full season of European rugby and has become a regular in the France XV. Able to operate at centre or fly-half, Toulouse tend to employ his playmaking skills in the No.10 jersey and he scored a try in the Round 4 victory over Wasps. A member of France’s World Rugby Under-20 Championship-winning side, Ntamack can also kick goals – as he did a few times last season in the Challenge Cup. The 35-year-old back-row forward, who won 83 caps for New Zealand before ending his international career with his move to Toulouse in 2018, provides some welcome experience in the French club’s pack and played in five of their Pool 1 matches. The dual Rugby World Cup winner, who won the trophy with the All Blacks in 2011 and 2015, can play at No.8 or as a flanker and is renowned for his tenacious defence and slick handling skills. Kolbe has marked his first full season of European rugby with a series of outstanding displays which culminated in his nomination for the EPCR European Player of the Year award. The 25-year-old South African wing or full-back played in all six of Toulouse’s Pool 1 ties, scoring two tries, and was named Heineken Man of the Match in the 24-16 win at Wasps in Round 3. He also topped the table for defenders beaten (41) and was second in the one for clean breaks (13). Ramos had made only one European appearance before this season and that was in the Challenge Cup, but the ever-present 23-year-old has made up for lost time with a series of excellent displays for Toulouse in the No.15 shirt, where he breaks dangerously from deep. He is also their primary goalkicker and notched 60 points in the six Pool 1 games to lie third in the points list. 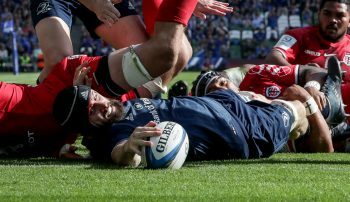 Ramos’ fine form has caught the eye of France head coach Jacques Brunel, who blooded him in the Six Nations Championship.